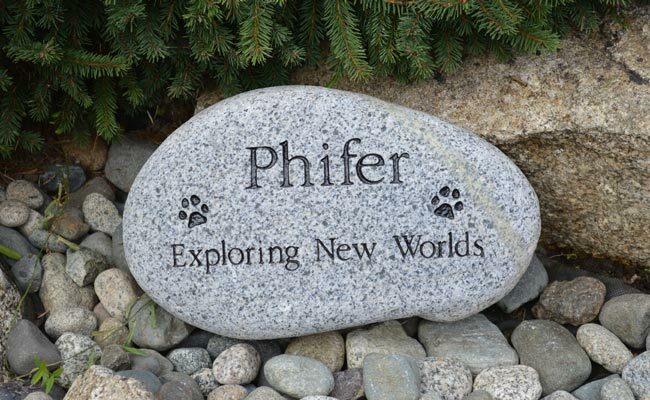 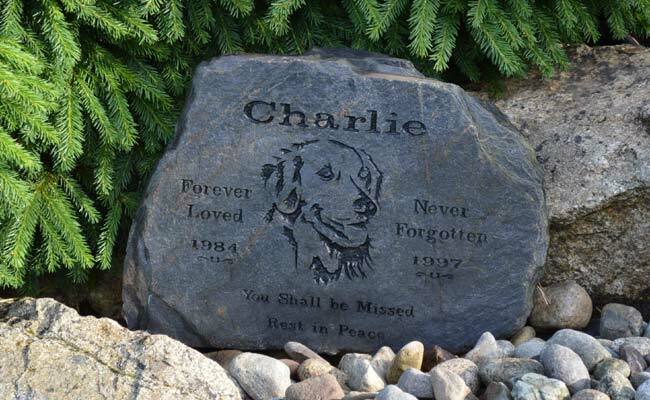 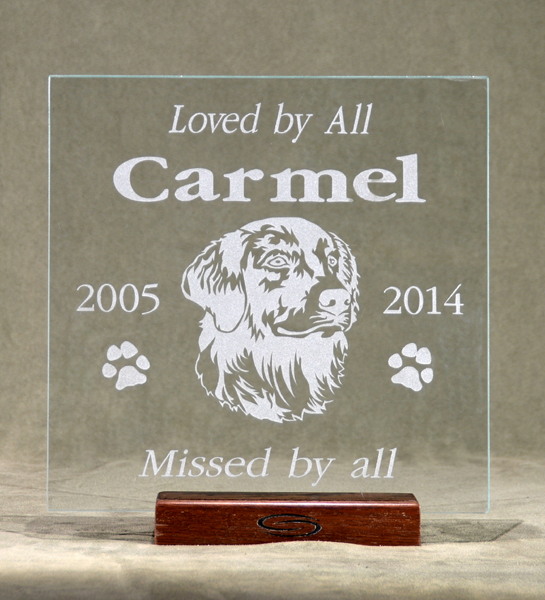 or if you have a favorite clear photo of your pet we can vectorize the image and include it in the memorial. 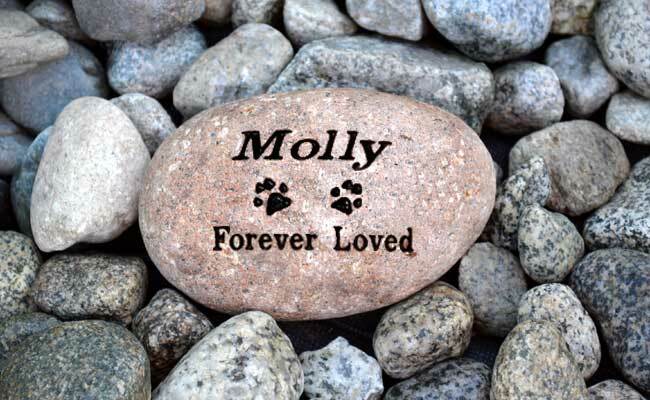 If you don't have a garden a smaller stone, a candle holder or a glass plaque can be personalized and placed in a special place in your home. 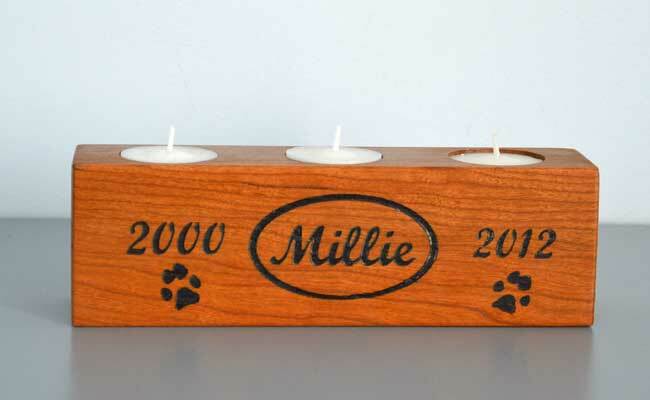 a great way to remember that very important member of your family.